2016 was not one of my finest years – but then that was in keeping with pretty much everyone else so let’s just chalk it all up to a malevolent calendar and leave it at that shall we? – with the lowest point being the death of my dad in June. As you might imagine it was an emotional body blow of epic proportions that I am still recovering from; what got me through much of the grieving, and even helped me to process it, were all the movies I continued to see. Not all were escapist although in the aftermath of my dad’s passing, those types of films were at a premium; in fact wittingly or unwittingly I ended up in more than a few films where death was a key part of the narrative (which makes sense given its dramatic possibilities). But each film played its part in helping me heal including Captain Fantastic, Other People and most particularly A Monster Calls, during which I sobbed like a baby, appreciating again through my tears how powerful cinema can be in not simply telling a story but also in the way it helps you process and interpret life. In light of how important escaping to the movies was for me this year, I have chosen to highlight 20 movies not the customary 10 and as always these choices reflect the Australian release schedule. A beautifully immersive story of the way life twists and turns in ways that are not always welcome but which we must accept and deal with even late in life. Told in a visually and narratively poetic style, Youth is an elegant, understated but emotionally-powerful meditation on the brevity and complexity of life. Here’s my full review of Youth. Now this is how you make an off-the-chart great Marvel movie. You throw away the template, even though it has served you well – of late though it’s all got a bit same old same old – mix in some hilarious wit, judiciously-placed vulgarity, hire an actor with the smarts of Ryan Reynolds and have at it. The result is one of the funniest, most clever, meta superhero movies to hit the big screen. 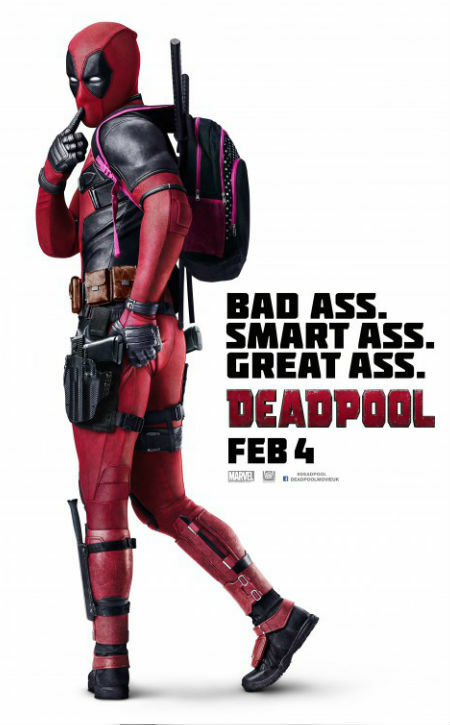 Here’s my full review of Deadpool. I adore animated feature films. 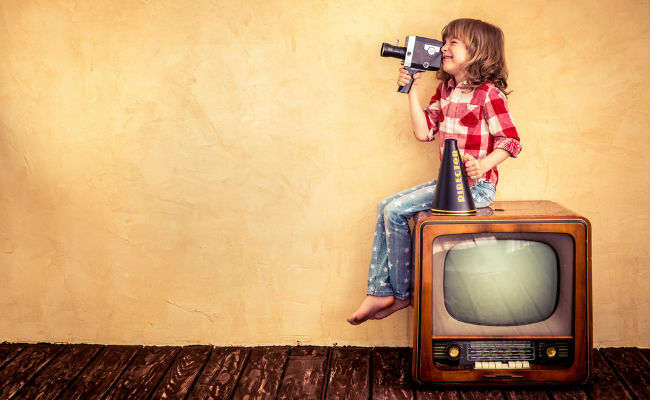 Maybe it’s the big kid in me, maybe it’s the freedom these movies have to go for broke creatively unconstrained by real world logistics or maybe it’s just their sense of fun. 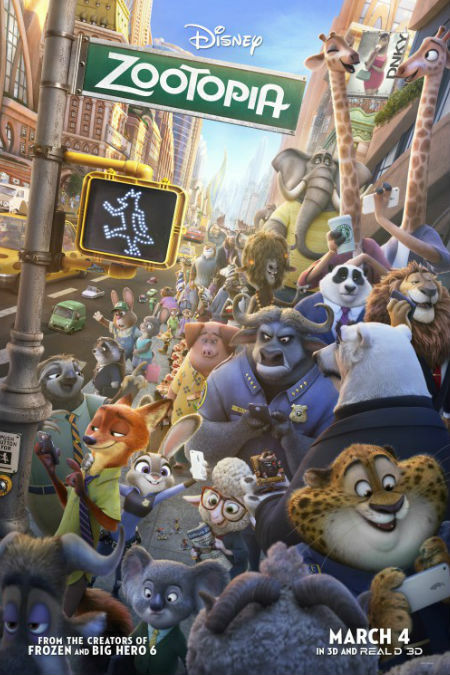 Whatever powers it, I love them and Zootopia was far and away the best of the bunch this year. Literate, intelligent, packed full of engaging well-rounded characters and a kickass storyline, it shows what’s possible when a studio, in this case, Disney, is at the very top of their game. Here’s my full review of Zootopia. 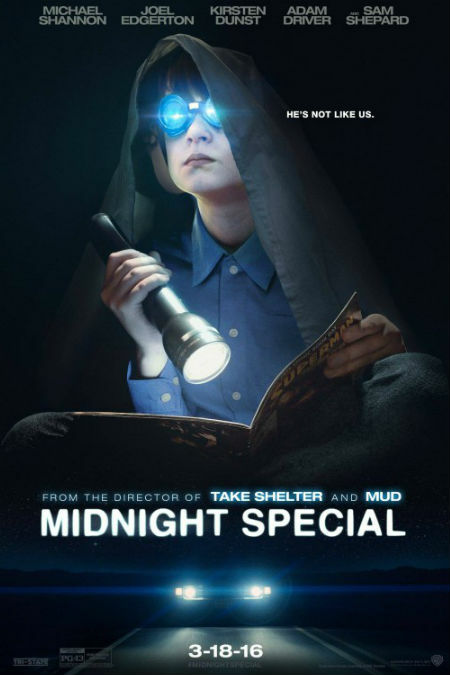 Mixing some Spielbergian heartfelt otherworldiness and some gripping, heart-stopping action, Midnight Special is that utterly-engaging weird beast that manages to be both cerebral and action-oriented, intense and yet joyously offbeat, all while telling an intrinsically rich and human story. Ever wondered if there’s more to life? Midnight Special confirms there’s a whole lot more and then some just waiting for you if you’re game. Here’s my full review of Midnight Special. Growing up is never easy. But when it’s taking place in a repressive environment where tradition is furiously fighting a rearguard action against modernity and freespirited youthfulness, then it becomes an almost Herculean effort to become the person you want to be. 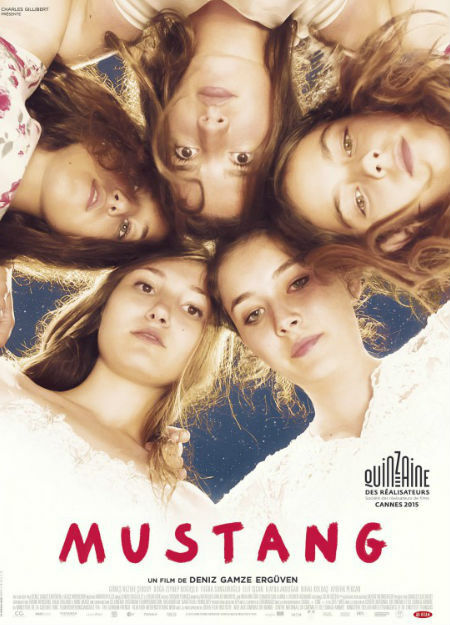 The story of five sisters, each of them dealt with this loss of freedom in their own way, Mustang is an impressive movie on so many levels, not the least of which is reminding everyone that no one should ever have to subsume who they are for mindless adherence tradition, least of all young people who have so much life left to live. Here’s my full review of Mustang. Music and love make the world go around and if you’ve wondered how much the two matter to each other and to optimistic young people everywhere then look no further than this impresively-realised musical from John Carney that reaffirms how powerful music can be in shaping our lives. 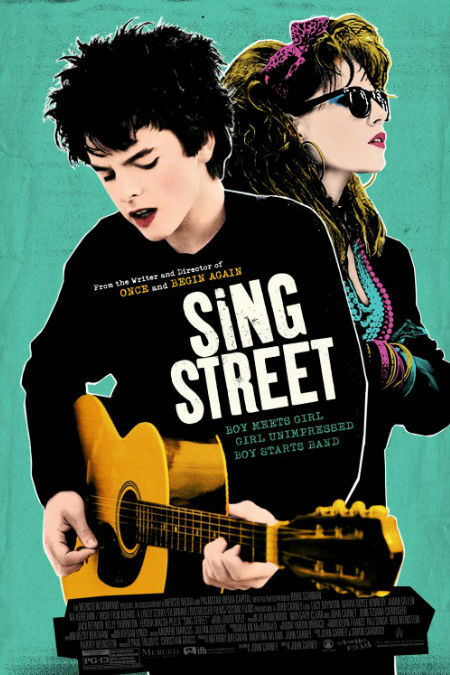 Songs are never just songs; rather they are living, breathing embodiment of all the amazing possibilities and otherwise in life, something Sing Street gives full vent to it in the most wonderful, engaging of ways. Here’s my full review of Sing Street. 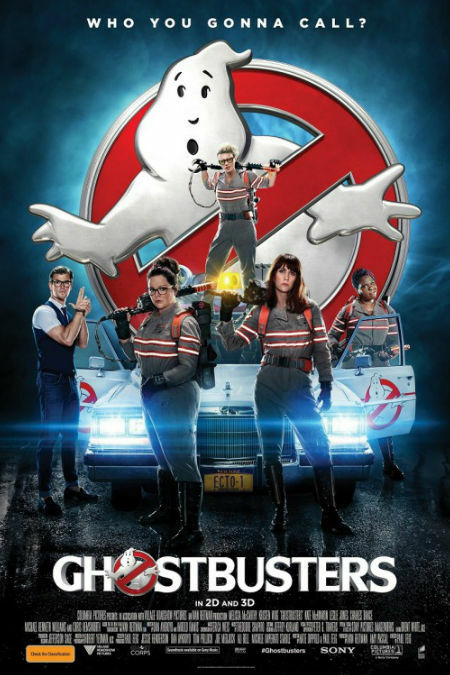 Unlike many of the misogynistic fan boys who flooded the social media with their regressive vitriol, I had absolutely no problem with Paul Feig re-imagining Ghostbusters for 21st century with an all-female cast. It sounded like a very cool, bold thing to do and it paid off in spades with four very talented women breathing new life into a moribund though still much-loved franchise, creating in the process a movie that more than matches and often exceeds the 1984 original. Here’s my full review of Ghostbusters; Answer the Call. An exquisitely-realised piece of animation, Kubo and the Two Strings is an archetypal fantasy journey movie where a hero muct come to grips with his true nature and save the world in an unnervingly short period of time. Combining a mystical sensibility with a lot of humour and some heartfelt humanity, this is one film that understands how powerful animation can be as a storytelling medium. 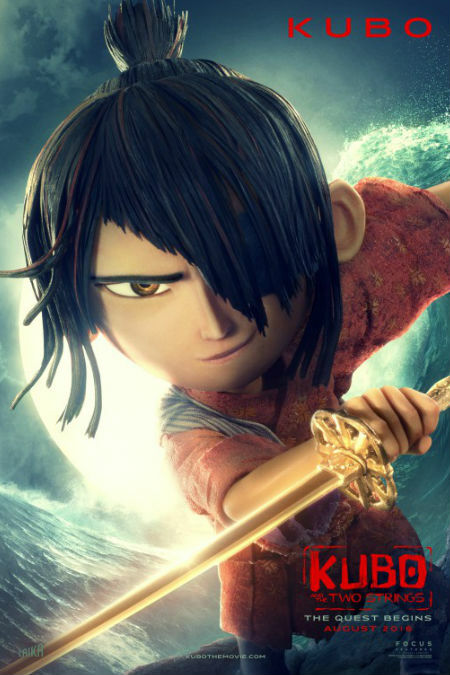 Here’s my full review of Kubo and the Two Strings. This was probably the first movie I saw after my dad’s passing that really rocked me to the core. 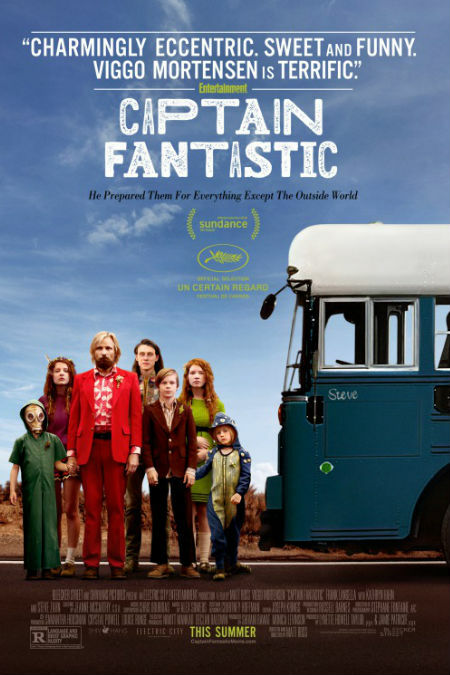 While Captain Fantastic is about a lot more things that someone dying, celebrating family, love, connection and being your own person no matter what society says, the death of a beloved member of the family drives the plot and was damn near inescapable. While it deeply affected me, I was glad I saw it because as the family members struggled to come to grips with the loss of a loved on so did I and that proved to be an immense blessing for me. Here’s my full review of Captain Fantastic. My lord but this film is a delight! Funny, sweet and hilariously audacious, it’s all bout the quest to find somewhere to belong, to find your tribe whoever they maybe. The key lesson is that they may not be the most obvious choice and you may have to say, spend weeks in the New Zealand wilderness, to really understand who they are. If you ever feel like you’ll find your own special group of people and be encouraged that can happen while laughing your proverbial off. 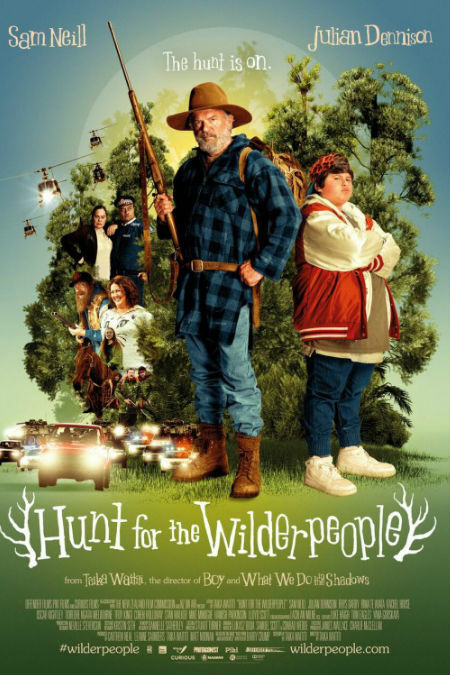 Here’s my full review of Hunt For the Wilderpeople. 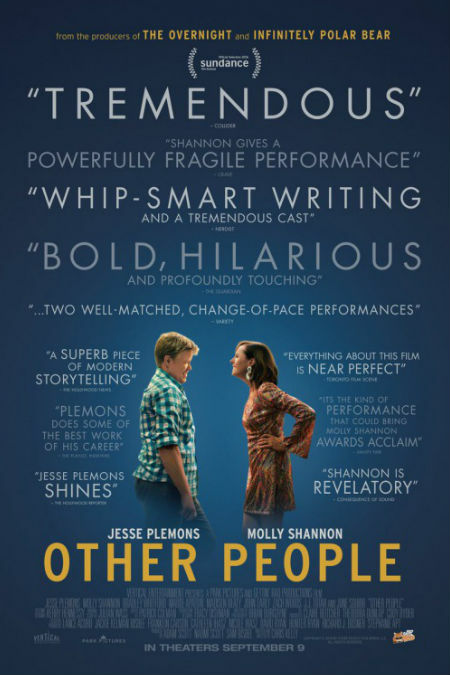 Other People is another movie I encountered during my grieving period (which honestly is still ongoing). Funny, charming, dark and clever, it is an honest, no-holds-barred examination of the way death both bonds and reveals hidden faultlines in family. There is one scene in particular that captures in all its eerie weirdness how strange it is after someone has died and life enters this disconcerting limbo state, and it is worth the price of admission alone, if only to reassure anyone who’s ever grieved a loved one that everything they felt is sadly and completely normal. Here’s my full review of Other People. One of the great downfalls of our society, enlightened though it can be at times, is the assumption that unless you fit into one of a select group of boxes, that your life simply can’t have sufficient meaning or value. The reality is, of course, that there are many people who falls outside of societal norms who live perfectly-fulfilling lives thank you very much, one of whom is the subject of this smart and sensitive documentary. Owen Suskind is proof positive that life comes in many shapes and sizes and that Disney can pretty much fix anything. 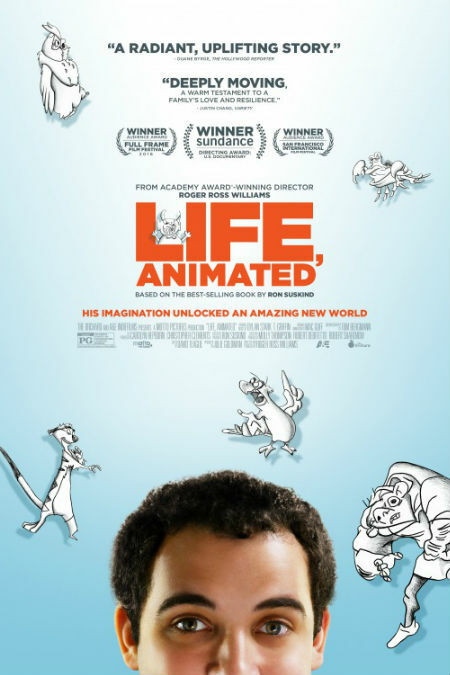 Here’s my full review of Life, Animated. I adore films about quirky people who don’t quite fit society’s molds. Possessed of hidden riches and possibilities but stunted by life’s vicissitudes, people like Bella Brown, whose sensibilities recall a similarly delightful misfit, Amélie, have much to offer if only someone will notice and accept them on their own terms while pushing them to step beyond their comfort zone. I saw this movie with some close friends on the day of the US Presidential election and if a feel good movie was ever needed, it was this day. This Beautiful Fantastic fulfilled its role perfectly, a reminder that even in the darkest of times that life has a way of winning through. 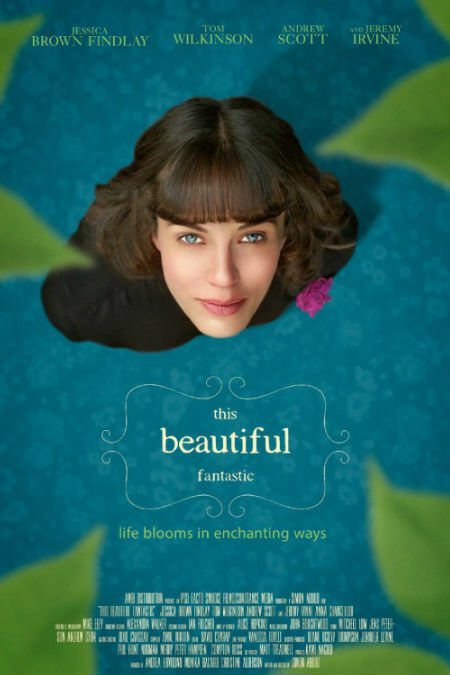 Here’s my full review of This Beautiful Fantastic. What a powerful film. An exquisitely beautiful, emotionally-impacting film about death, loss and grieving and how acknowledging how awful we feel and how robbed and alone we feel is the path to healing. This stands in marked contrast to our Western predilection for smoothing over the rougher, less palatable parts of life and pretending they aren’t there or easily moved through. 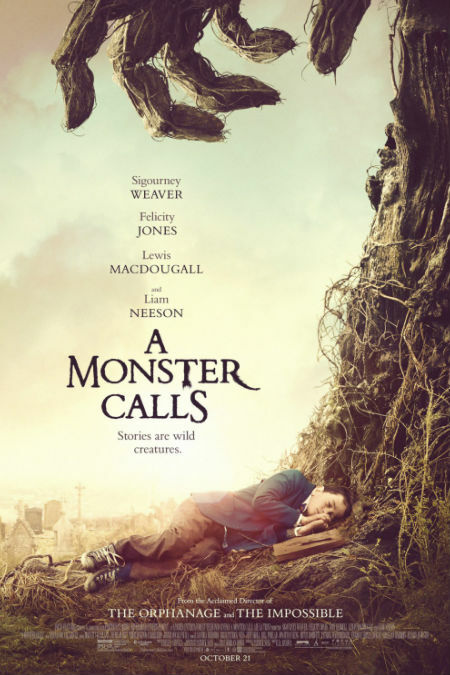 Death for one is not something you easily dismiss, nor should you, and A Monster Calls give it powerful voice through one extraordinary young boy whose story you won’t soon forget. Here’s my full review of A Monster Calls. A gritty David vs. Goliath tale of two brothers robbing just enough money from banks to hold onto their momma’s farm – not for her sake but for one of the brother’s kids who are given a chance at creating the kind of prosperity their forebears could only dream of thanks to oil deposits on the ranch – Hell or High Water seethes with unrequited aspiration, disappointment and hope, and some of the blackest, most amusing scenes to grace a film in years. 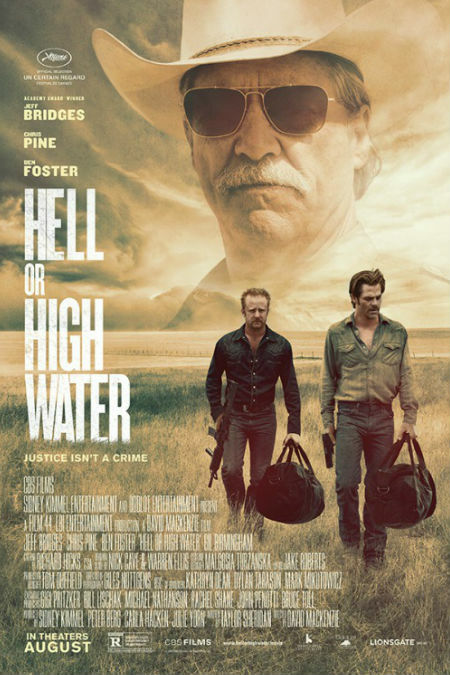 Here’s my full review of Hell or High Water. There is something deeply charming about the worlds created by J. K. Rowling. True they are infinitely and mortally dangerous with great evil resident along immense wonder and goodness as Harry Potter demonstrated over and over but there’s also an appealingly escapist edge that makes you want to immerse yourself in and never emerge. 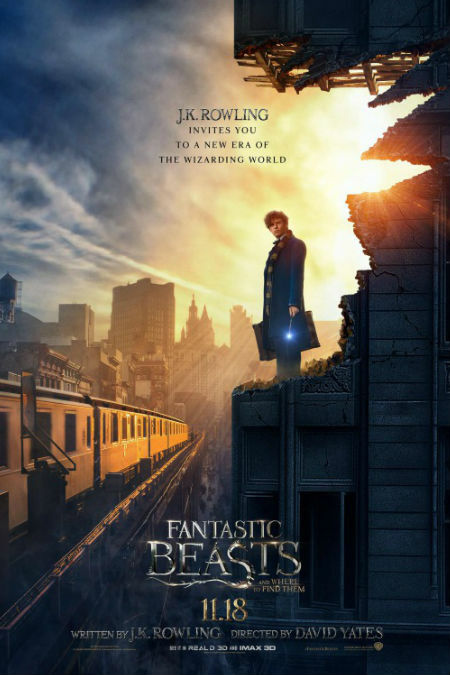 Fantastic Beasts, which features the ever-engaging Eddie Redmayne as Newt Scamander, a newly-arrived British wizard who arrives in a New York rent by fear and dissension between the No-Maj (Muggles) and American wizardry. What results is a film charged with intrigue and action but also infinite wonder and joy that is pleasing on just about every level. Here’s my full review of Fantastic Beasts and Where to Find Them. 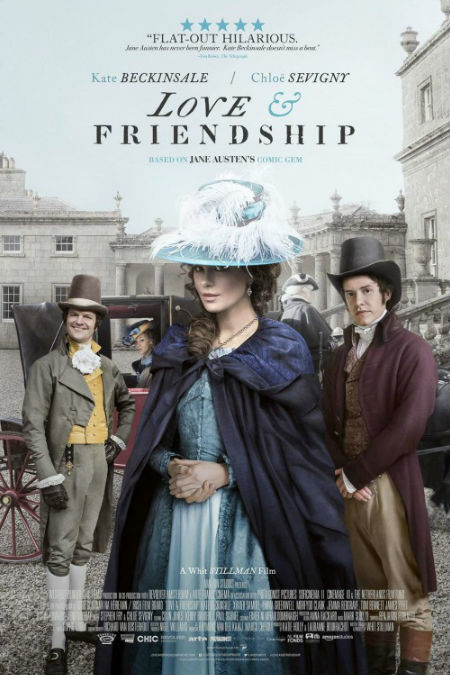 Adapted from Jane Austen’s novella Lady Susan, Love & Friendship is a brilliant satire of late 18th-century life that rarely stops for a second, driven by the wickedly entertaining Lady Susan herself, played with ingenuious cheeky and calculating charm by Kate Beckinsale in perhaps the finest role of her career. The script is intelligently-written, the performances uniformly excellent and the rapier wit as sharp as it needs to be. Here’s my full review of Love & Friendship. 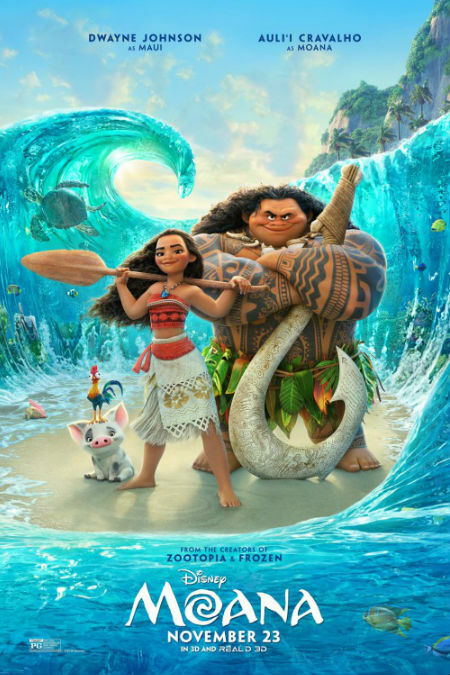 Moana is pretty much the perfect animated feature – memorable, lovable characters, engaging narrative arc that presents an authentic representation of Polynesian culture, infinitely singable songs and charm and humour in abundance. It never flags, never loses focus and maintains its beguiling sense of fun, adventure and meaning right up to its emotionally-pleasing end. This is Disney at the peak of its animation powers. Here’s my full review of Moana. I have been a dedicated fan of Star Wars since I saw A New Hope in a small cinema in Ballina, N.S.W. as an almost 12 year old. Of course, things change as you get older but the wonder and transcendent feeling of watching a film set in a “a long time ago in a galaxy far, far away …” has never left me. 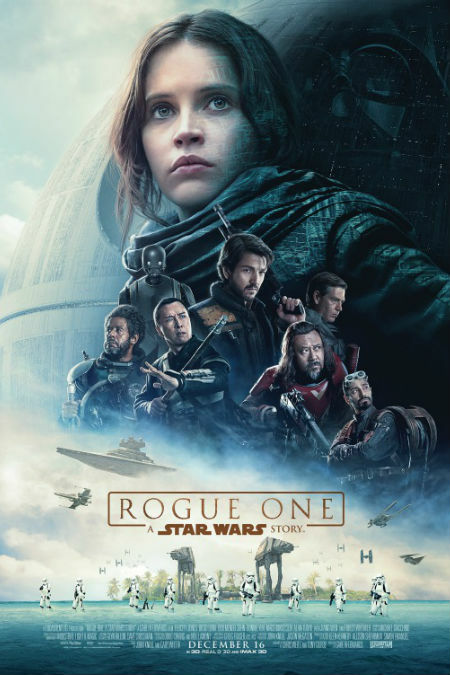 Even when the film is Rogue One and it’s grittier, darker and far more a war film that any Star Wars film I can remember; for all its authenticity about the grim nature of armed conflict, the first of the new standalone films in the franchise – Han Solo’s backstory follows in 2018 and Boba Fett’s in 2020 – is still very much a Star Wars film, full to the brim with epic galactic struggle, wisecracking robots and heroes on a steep upward learning curve. In other words, all the things I have ever loved about this most venerable and still very vital of sci-fi franchises. Here’s my full review of Rogue One: A Star Wars Story. The world can be a cruel and nonsensical place much of the time. If you’re financially well-off you can ignore this farcical state of affairs and inure yourself against it to a large extent. But if you’re in a vulnerable position like Daniel Blake, a man who has supported himself all his life but finds himself, post-heart attack in need of State care, there is little to no protection from the idiocy of policies which mean well but end up penalising the very people they are meant to help. I, Daniel Blake is a sobering, deeply affecting tale of what happens when one man finds himself up against the wall and has to negotiate the insanity of system at war with itself. 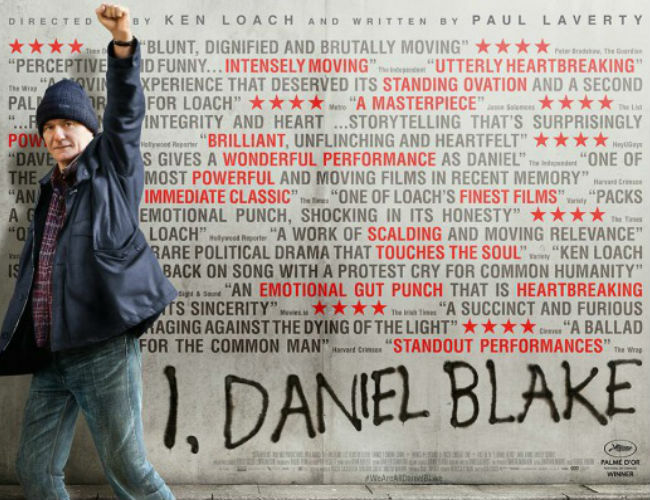 Here’s my full review of I, Daniel Blake. Moving Pictures 2016 – Movie Trailers Mashup from Clark Zhu on Vimeo. As for the most forgettable films of 2016? CRAVE has you covered there. Thanks for these, and here’s to a much better new year – at least in your personal life, as the big wide world seems destined for an inevitably bumpy ride.